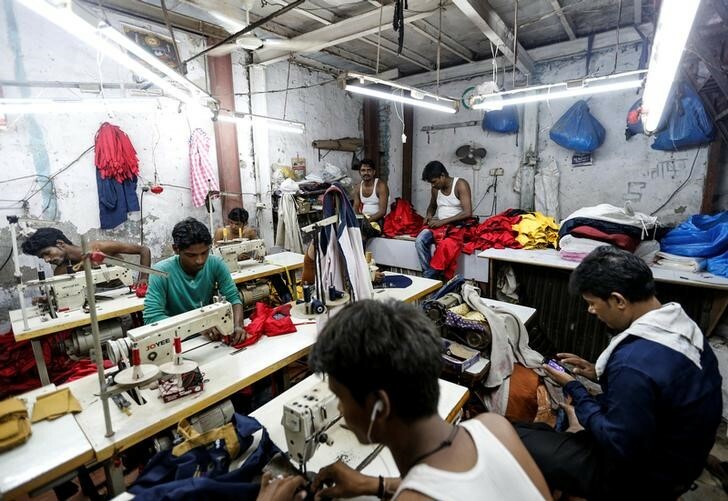 Only 16.5% of workers in India earn a regular wage. At 19, Dinesh Manjhi is the breadwinner for his family – three siblings and a 55-year-old mother. But his tryst with adulthood actually began at 12, when his father took him on a 1,500-km journey from their home in Bihar to a farm in Punjab to work as a seasonal worker. This way, he added a valuable extra to what his father saved to bring back home every season. Manjhi’s father died of illness in 2013 and the funeral costs left him struggling with a massive debt. So the youngster juggled jobs through the year. When he wasn’t labouring in Gurdaspur in Punjab, he was at home in Dumri village in Bihar’s Buxar district, eking out a living as a construction worker in the neighbouring town of Muzaffarpur. This earned him Rs 100-Rs 150 per day, which was much better than what seasonal farm work brought him in Dumri. No more than 16.5% of workers earn a regular wage or salary, according to the Fourth Annual Employment & Unemployment report (2013-14), the latest available data. In another estimate made in the same report, three in four households (78%) had no one earning a regular wage or salary. On the other hand, the proportion of casual labourers in the workforce is considerable – 30.9% and growing. Contract and casual work have been growing at the expense of regular employment. In more than a decade, between 1999 and 2010, the share of contract workers in total organised employment rose from 10.5 to 25.6% – and the share of directly employed workers fell from 68.3 to 52.4% in the same period. The informal sector generates around 50% of India’s GDP. It employs more than 90% of country’s workforce. The total figure for formal and informal employment in the unorganised sector is 82.7%. Of the current workforce of around 475 million, around 400 million, considerably larger than the population of the US, are employed with little job security or any formal protection of the labour law regime. Contrary to the promises of successive governments to generate more employment opportunities, the reality has been more uncertainty, fewer jobs and even less security. In the decade 1999-2000 to 2009-10, while GDP growth accelerated to 7.52% per annum, employment growth stayed at just 1.5%, less than the 2% annual employment growth rate seen over the four decades starting 1972-73. Job contracts with formal agreements and legal responsibilities (at least on paper) are becoming increasingly rare: About 93% of casual workers and even 68.4% of contract workers do not have any job contracts, according to a government report. Even among more formal wage/salaried employees, about 66% are reported to be working without a written job contract. Beyond the realms of the formal/legal, it is the ever-presence of extra-legal modes of mobilisation and disciplining (harnessing caste, kinship or community relations) that has received further fillip with the larger trend towards informalisation and casualisation of workforce. This refers to a workforce which is without any social security and employment benefits and whose labour rights (such as maternity benefits, paid annual or sick leave, overtime pay, right to unionise, etc.) are being diluted over the years in the name of “reforms”. The brunt of this casualisation is borne by the most oppressed sections of society. An SC, ST or Muslim worker is considerably more likely, both in rural and urban areas, to end up with a casual job. Muslims seem to be the worst sufferers, and among them urban Muslims seem to be more pronounced in their proportion in casual labour. Between 2004-05 and 2011-12, there was also a rise in the percentage of SCs and STs engaged in casual employment. In urban areas, however, the corresponding figures show a slight decrease in the same period. What explains this marginal decline of casual workers among SCs and STs in urban areas? The National Sample Survey data show a spike in rural-urban migration stream from 18.8 to 19.5% between 1999-2000 and 2007-2008. However, recent studies show a decline in the contribution of migration to urban population growth. This can possibly be explained by the argument that migrant workers are finding it difficult to get a toehold in cities. Who, then, is filling the gap between the rising ranks of rural destitute and the faltering ranks of permanent migrants to the cities? They are the seasonal or circulatory labour migrants who remain virtually invisibilised, informalised and unenumerated – the footloose migrants who make their ends meet by adding up both their seasonal remittances and the income from the shrinking agricultural sector. An estimated 12.24 million people are seeking work for two to six months as per National Sample Survey Office (NSSO) data. Of these, 77% are resident in rural areas and more than two-thirds migrated to urban areas. Some estimates show that about 35-40 million labourers – almost half the number of casual labourers outside agriculture – could be seasonal migrants. A peep into the state of agriculture would complete the picture. Today, over 80% of the total land holdings belong to marginal farmers who own less than one hectare, according to the NSSO. STs are over-represented among the landless, and SCs among marginal landowners. Considering 75% of all migrants come from marginal landowning households, one can estimate how they overwhelmingly would be from the most marginalised sections of society. So, the destitution in the countryside, the casualisation of labour and the erosion of their labour rights are not just the results of a flawed model of development. This neoliberal model of development is also made possible by this despair in the countryside and increasing informalisation of labour. The burden of this “growth”, as is evident, falls on the most disadvantaged. The trend is that of “vulnerabilisation of the labour markets”, as G. Vijay, an assistant professor at the School of Economics University of Hyderabad, calls it, wherein vulnerable sections of the labour force are consciously chosen as they would be materially and socially compelled to accept greater deprivation with least resistance to the dehumanising conditions of informalisation. Till this is acknowledged and addressed at its fundamentals, Manjhi and millions like him will continue to shuttle between the distressed countryside and the unwelcoming megacities.